Sewara Hospitality's flagship property Lodi - The Garden Restaurant is touted as the city's favorite al fresco casual dining restaurant. Situated in Lutyens Delhi, Lodi continues to be a popular haunt for leisurely Sunday brunches, evening cocktails and other gastronomical experiences driven by our guest's preferences. 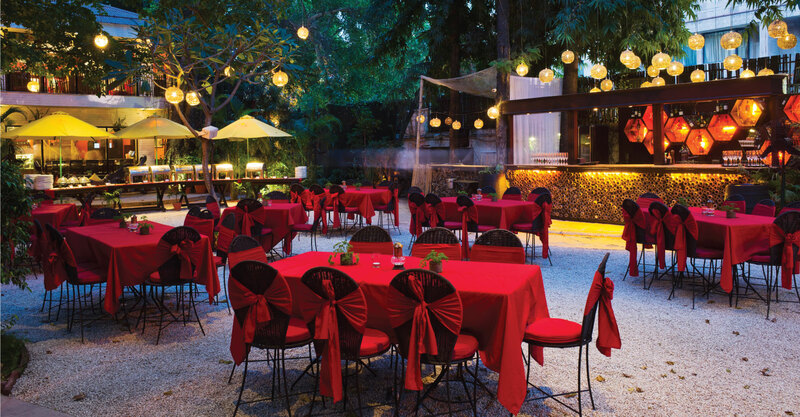 Highlighted by its lush botanical surroundings, pebbled walkways and bamboo railings, the restaurant is an extension of Lodhi Garden itself. The menu is an eclectic mix of flavors from around the world, though the emphasis remains on the much favored European influenced cuisine. Lodi - The Garden Restaurant borrows serenity from the adjacent Lodhi Gardens; a peaceful heritage park which is a must visit for both travelers & locals. Housing numerous trees more than a century old and seeped in history, Lodhi garden boasts of 16th & 17th century Mughal architecture and beautifully decorated tombs with a well laid out garden consisting of small water bodies and a variety of flora, fauna.